Recent advancements in genetically engineered organism (GMO) technology has allowed researchers at companies to circumvent now obsolete GM regulations, opening up the area of study to new and groundbreaking possibilities, as well as harsh criticism. Genetically engineered crops contain genes from other organisms, typically bacteria, which have been inserted into their DNA for the purpose of preventing disease, resisting pests, or even improving nutritional value. According to the New York Times, GMO oversight is shared by the Agriculture Department, the EPA, and the FDA under a framework established in 1986. For example, the Agriculture Department, which approves the growing of commercial crops, is responsible for protecting these crops from pests, like insects or pathogens. Because many GMOs are created through the introduction of foreign genes from bacteria, the Agriculture Department has oversight over their production. Some twenty years later however, new developments have allowed crop producers to effectively work around these sorts of regulations. To illustrate, some companies are using methods like “genetic editing,” the process of manipulating an organism’s DNA rather than introducing foreign genetic material to it, in order to modify the organism and avoid GMO oversight. Others, like The Scotts Miracle Gro Company, take genetic material from other plants and put it into their crops using a gene gun, not a bacterium, again skirting any sort of regulation. “If you take genetic material from a plant and not considered a pest, and you don’t use a transformation technology that would sort of violate the rules, there’s a bunch of stuff you can do that at least technically is unregulated,” said Jim Hagedorn, chief executive of Scotts to the New York Times. These new methods aren’t without their critics however, even within the scientific community. Some claim that gene editing crops could have a significant effect on the environment and unintended consequences in the long run. There is speculation as to how genetically edited cells would grow into full plants without mutations, since many of these experiments are performed on a small scale with plant cells or tissues in a dish. Many scientists point to the problem that regulation is focused more on the process of producing GMOs and not the GMOs themselves, which is how many of these new techniques have slipped under the radar, according to the Genetic Literacy Project. Proponents, however, would claim that there is little danger to these new unregulated methods and that they could bring genetic engineering to new heights. Another one of these new nonconventional methods involves cisgenic crops, in which a crop is inserted with the genes of another crop of the same species. 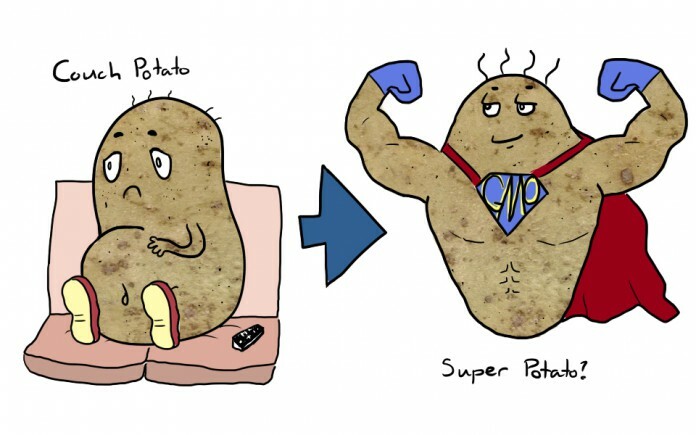 Recently, the J.R. Simplot Company has developed a cisgenic potato that is less prone to bruising and makes a less unhealthy french fry by producing less of a chemical called acrylamide, which has been linked to causing cancer. Not only that, but the Agriculture Department approved the potato for commercial planting last November, according to the New York Times. Scotts has also been working on a genetically modified grass called tall fescue, which would be “heartier, need less mowing, and grow greener than grasses currently on the market,” as reported by Sputnik News. With nearly twenty years since its establishment, many claim that the GMO oversight model is due for an overhaul. “This technology is always one step ahead of the regulators,” said Michiel van Lookeren Campagne, head of biotechnology research at the agricultural company Syngenta. Unless regulators begin focusing on GMOs themselves and not the process of creating them, expect a plethora of developments in this field in the coming years. In an article about the negative concerns these technologies raise, he still calls them “advancements” (in his very first sentence). Marcuse was so on-the-money about how our minds are colonialized by the dominant ideologies!